PSD's John DaSilva, Design Principal, and Rob Calderaro, Director of Landscape Design and Operations, participated in a panel presentation on June 3rd. The discussion focused on designing your coastal home. 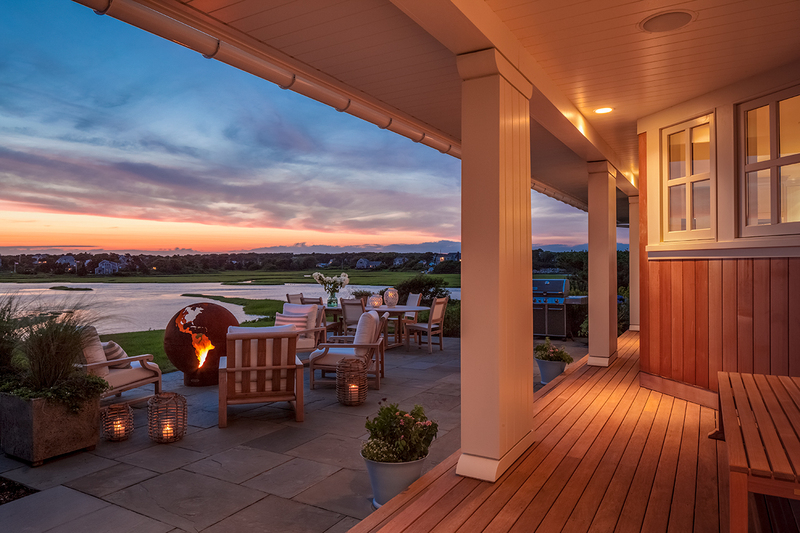 From color palettes and elevations to sea-worthy materials and building codes, if you’re about to design your ocean side escape, this was a "don’t miss" event, chock full of advice from experts who make building a home by the water, a day at the beach. The distinguished panelists - John DaSilva, Design Principal of integrated architecture and construction firm Polhemus Savery DaSilva and author of “Living Where Land Meets Sea”; Julie Stein of Julie Stein Interior Design; Rob Calderaro, Director of Landscape Design and Operations at Polhemus Savery DaSilva, and Gary Rousseau, Executive VP of Herrick and White Architectural Woodworkers - know all of the in’s and out’s of coastal construction and design. Moderated by renowned home design journalist, Regina Cole.